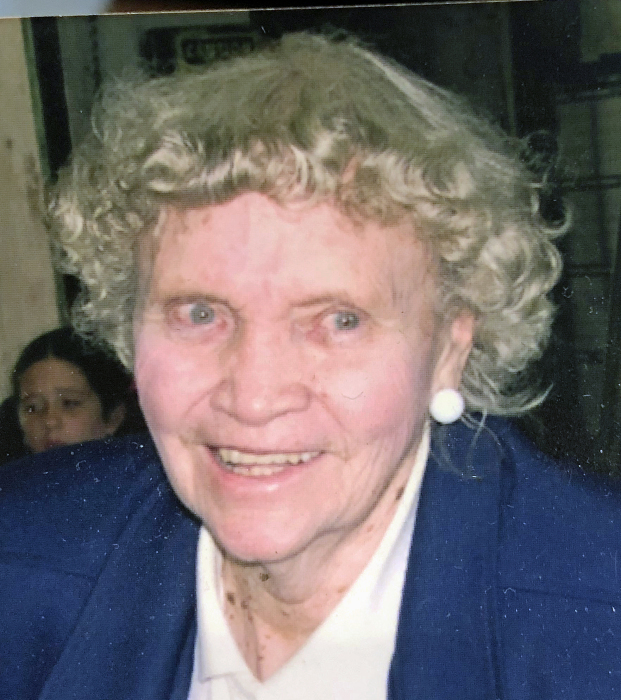 Marie E. Malloy, 99, a lifelong resident of Jersey City passed away peacefully on Sunday, August 19, 2018. Marie was a secretary for over 30 years with M&M Luggage in Jersey City. She was the past president and secretary of Grandview Terrace Tenants Council and also past secretary for St. John's Seniors and St. John's Rosary Society. Marie was an avid Yankees fan who loved spending time with family especially her grandchildren. Marie was the beloved wife of the late Michael J. Malloy, Sr.; devoted mother of Michael J. Malloy, Jr. and the late Ann Bruno; loving mother-in-law of the late Janice DeMartino and her surviving children Kiley, Kim and Dakota; loving grandmother of Marie Ferenc and Martin Bruno; cherished great-grandmother of Robert, Ashley, Matthew and Samantha; adoring great-great-grandmother of Chandler, Davinee, Madison, Abigail and Chloe; dear sister of Tom & Pat Degnan. Also survived by many loving nieces, nephews, cousins and special friends. Visitation is on Tuesday, August 21, 2018, 4:00pm to 8:00pm at RIOTTO FUNERAL HOME & Cremation Company, 3205 John F. Kennedy Blvd., Jersey City, NJ 07306. Funeral will begin on Wednesday, August 22, 2018, 10:00am at the funeral home. Funeral Mass will follow 11:00am at St. John the Baptist Church, Jersey City. Interment will take place at Holy Name Cemetery, Jersey City.